Diving watches are without a doubt one of the most popular categories of timepieces for the enthusiast timepiece collector. With bomber construction, rugged good looks, and a marketing culture that resounds with the spirit of exploration and discovery, diver’s watches resonate with even the most landlocked and home-bodied of buyers, and are the bread and butter workhorses for many a modern watch brand. In the history of timekeeping, diving watches are a relatively new concept. It wasn’t until the 1940s after all, that sport diving was even possible. Previous to that time, professional divers wore heavy suits with brass diving helmets, and were perpetually tethered to the surface. Although an extremely dangerous way to make a living, these divers never had to worry about timing their air supply, as they had a constant flow of oxygen coming from the surface through hoses. This all changed with the invention of the Aqualung, patented in 1942 by Jacques Cousteau. SCUBA, initially developed for military applications, ultimately enabled mankind to take to the sea and explore its depths in a recreational fashion never before experienced. And from the very early days of the sport, the timepiece industry has been providing wristwatches specifically geared towards divers’ needs. 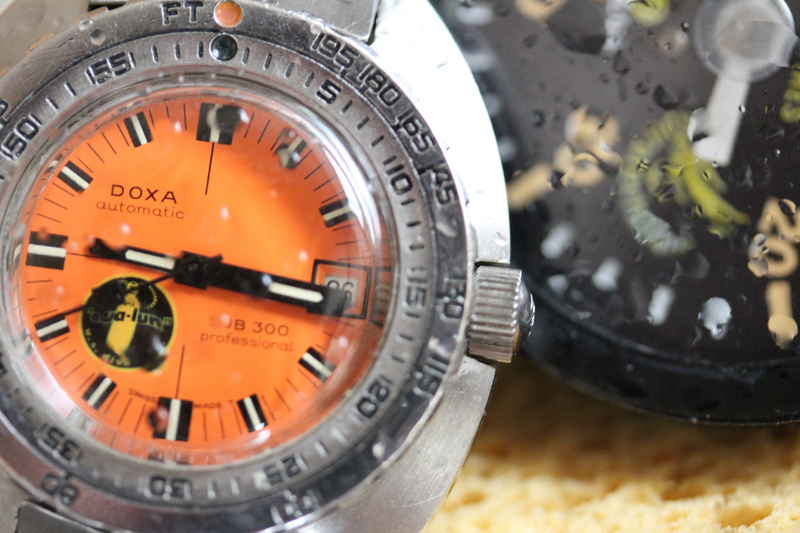 And despite legions of fanatics committed to a number of historically important dive watch brands, there is one company that did more for the sport than any other: DOXA. When discussing iconic diver’s watches with collectors, DOXA is often notably absent from the list of “usual suspects,” which includes pieces such as the Rolex Submariner, Blancpain Fifty Fathoms, and Omega PloProf. There are a few reasons for this; most notably the fact that DOXA as a brand ceased to operate for nearly 20 years and lost its public profile – although it technically never went out of business. It also was (and is) a much smaller brand than any of the above listed, and had neither the marketing budget or brand recognition as others in the field. 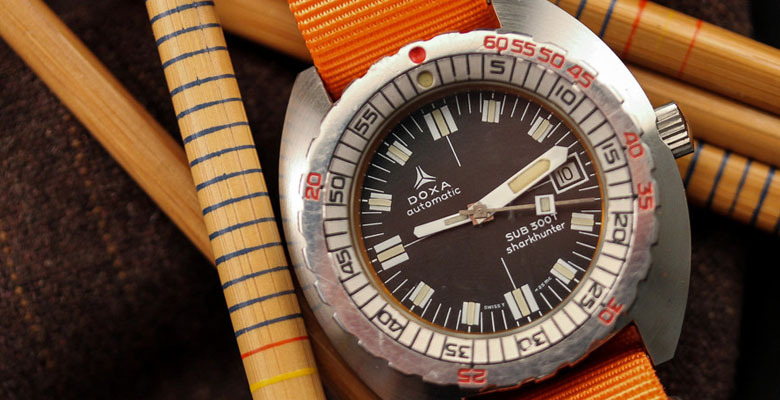 Regardless of its relative obscurity, DOXA single-handedly revolutionized the diving watch, and their contributions to the development of the modern diving watch are still being relied on today. 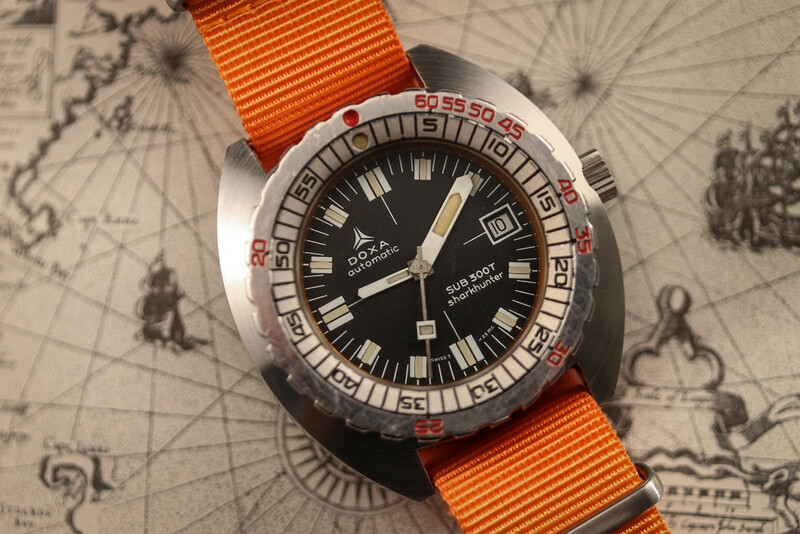 These contributions began with the development of the original DOXA Diver’s watch, which ultimately came to be known as the Sub 300 (for 300 Meters). From the ground up, it was developed to be a no-frills watch, specifically designed for the amateur and professional SCUBA diver, and gave little though to aesthetic appeal or fashion sensibilities. 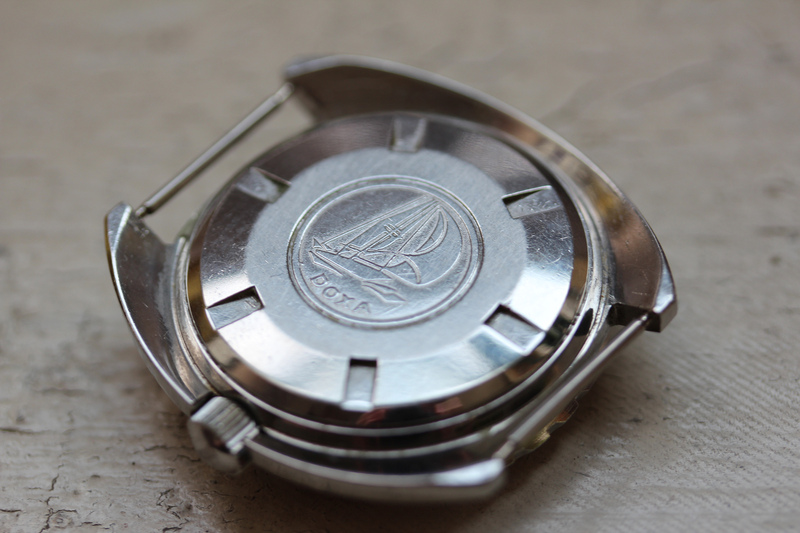 It utilized a relatively simple cushion case design, a unidirectional rotating bezel, screw down crown, came fitted on a rice-bead bracelet with expanding clasp and housed a simple three hand automatic movement with date function. 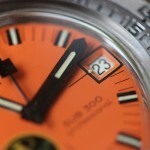 The piece was initially designed with an orange dial to achieve maximum legibility underwater. 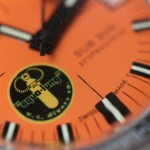 This alone was a shocking change to the marketplace; a stark contrast to the black dials found on most divers. 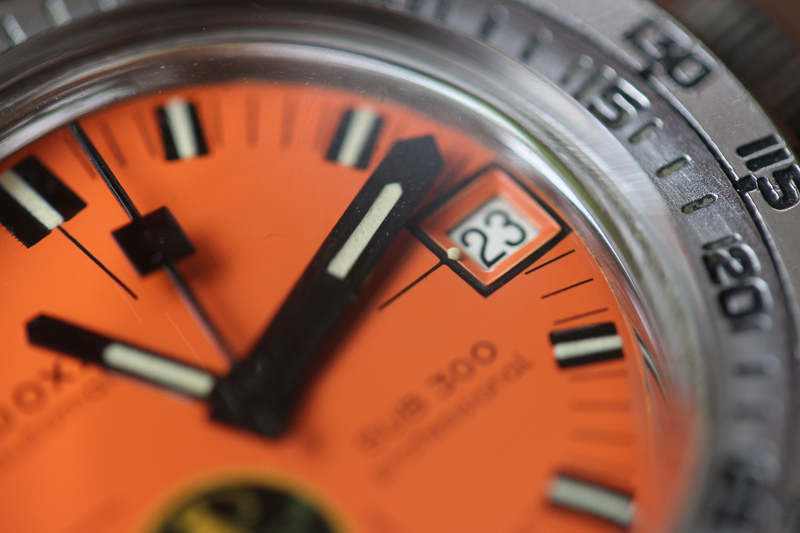 Although the orange dial may be the brand’s most recognizable feature, both the unidirectional bezel and bracelet design were also world’s firsts. 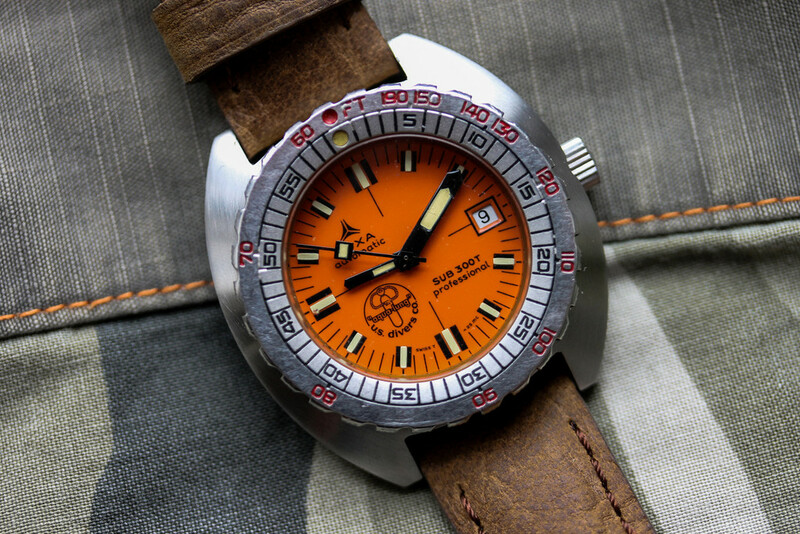 The bezel was the first ever to be engraved with the US Navy’s No Decompression dive chart, and ratcheted in a single direction to allow a user to set the bezel to time their dive. 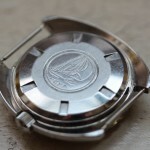 The bracelet featured a multi-stage expanding clasp for fitment over a wetsuit. While these two developments seem commonplace now (indeed, both unidirectional rotating bezels and expanding clasps are required components for any watch brand seeking the ISO 6425 rating for diving watches), in 1967 they were outright groundbreaking. 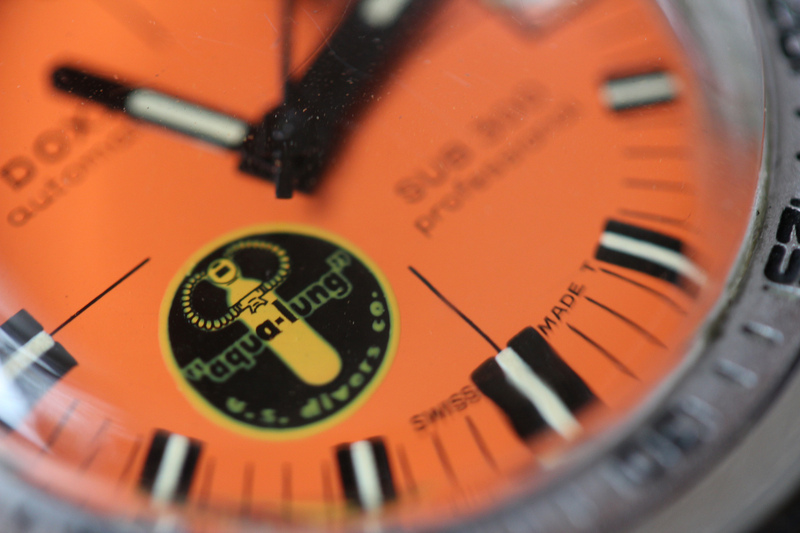 As a result of their ingenuity, DOXA enjoyed the seal of approval from the father of SCUBA himself, Jacques Cousteau, and were sold in America exclusively through Cousteau’s diving equipment company, US Divers. But DOXA’s spirit of innovation didn’t stop there. 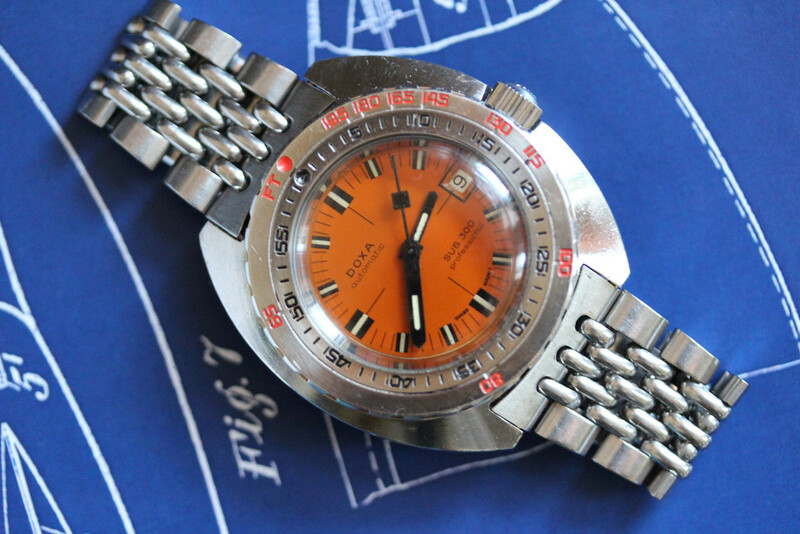 Before ultimately shuttering in the midst of the quartz crisis, DOXA released a series of divers with greater depth ratings (SUB 750T), one of the world’s first diving chronographs (the T-Graph) as well as the world’s first commercially available diver’s watches equipped with a Helium Escape Valve (Conquistador). The Conquistador is particularly noteworthy in that it was brought to market two years before the Rolex Sea Dweller, and although it is commonly accepted amongst experts that the two brands collaborated on the development of the technology, Rolex generally receives all of the credit from the greater consumer market. 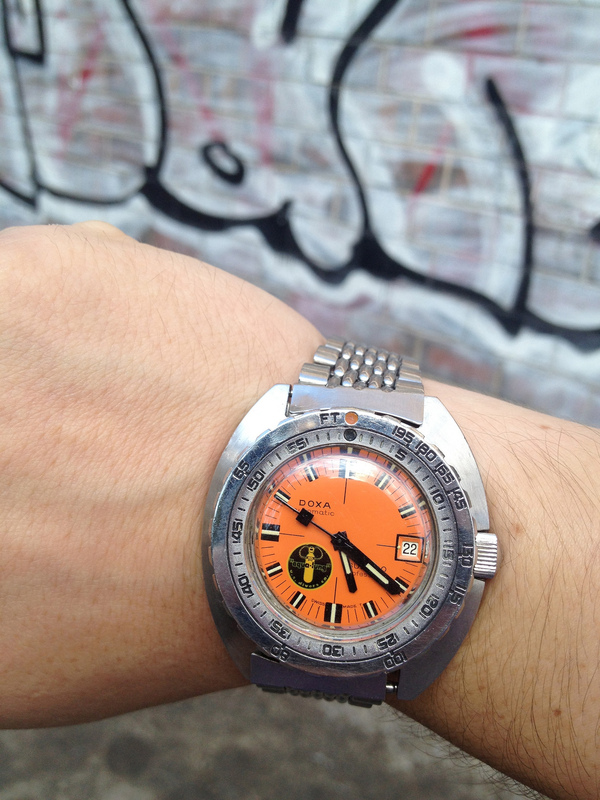 Ultimately, DOXA staggered out of the quartz crisis and went into a coma for the better part of two decades. Today, the brand still exists, and is part of the Jenny family, which still makes affordable diving watches. Vintage models are relatively scarce, due in part to their limited production, as well as the simple fact that so many of them were used in the way that they were actually intended, unlike the bulk of modern divers today. Examples of the early Sub 300 Series divers (Professional, Sharkhunter, Searambler, and Divingstar) in good condition start in the $2000 range, while rarer models such as the T-Graph and Conquistador can command 2-3 times as much or more. 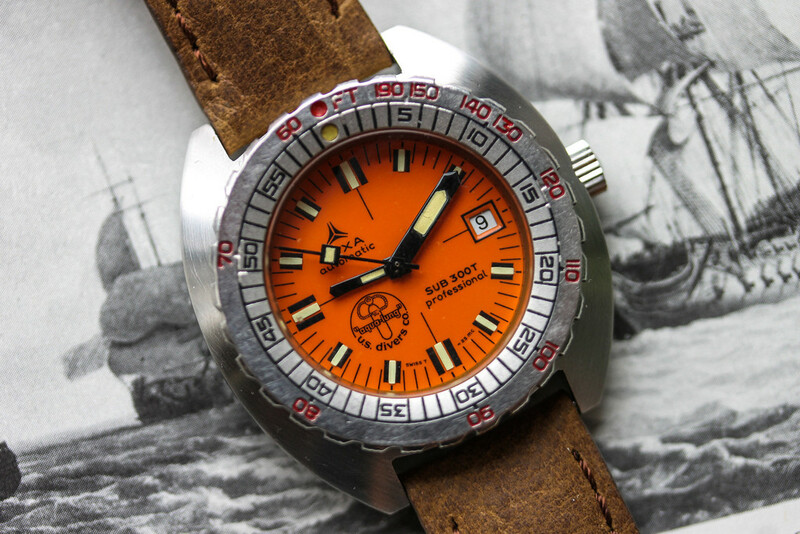 It is the opinion of this author that these watches are inherently worth considerably more their current market value due to their honest and important contribution to the development of modern diving watches, their direct connection with Cousteau, and their no-nonsense aesthetic. Furthermore, DOXA divers are sensibly sized pieces, making them every bit as functional as a Submariner as a daily wearer, whereas other early diving watches are absurdly large (such as the Omega Plongeur Professional. 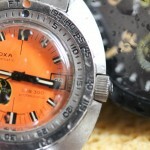 It is only a matter of time before DOXA is “discovered” by the collector market, and prices shoot up exponentially. 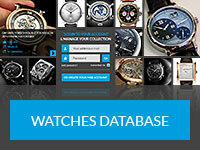 More resources about Doxa Divers on the Official Doxa Website.